The food industry is very sensitive because it is very easy for foods and beverages to get contaminated. This is what you will risk when you have pests in your business premises. Apart from putting the health of your customers at risk as a result of contamination, you can end up ruining your reputation when this happens. The mere sight of the pests can also play a role in damaging your reputation and it could lead to customer loss. Having worked hard to get your bar or restaurant to where it is, you can only put in efforts to maintain that image and take it higher. Providing your customers with a pleasant, pest-free experience is vital to your success! 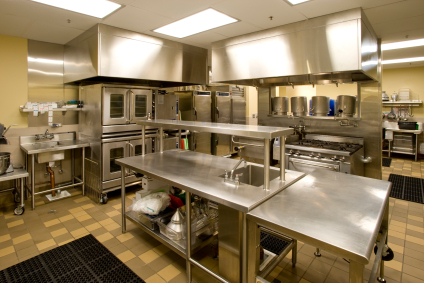 Restaurants, bars, and other food service establishments contain many challenging environments. Each of these unique environments is subject to pest infestation and can contribute to an unpleasant dining experience. Which can damage your most valuable asset, your reputation. Roaches, ants, rats, mice and flies can create a problem with your food quality and preparation as well as a health inspector audit. TORO offers food service pest removal and has the solution for you. TORO offers a professional and proactive treatment plan using an Integrated Pest Management (IPM) program. The best way to solve pest problems is to correct the conditions that contribute to them. Our program focuses on eliminating pest harborage areas, their entry points to your facility, and other conditions that contribute to infestations. Based on an inspection, we develop a tailored program that encompasses solutions to existing problems, pest prevention, and ongoing control measures. If the bugs come back, so will TORO at no additional cost to you. TORO will respond with in 24 hours Guaranteed. Our technician will arrive quickly and deal with the pest problem to prevent recurrence. As soon as you call Toro, you can expect a response within 24 hours. The prompt response makes it possible to have your critical pest issues taken care of before they become a real problem. The professionals will then start with a property inspection. The inspection is important in letting them know how the situation is at the restaurant or bar. The next step will be to identify the pests present. The identification helps in preventing un-strategized control measures that increase control failure. Targeted treatments have higher rates of being successful. After identifying your pests, the professionals will then move to treatment and control. Toro uses the best commercial pest control services and treatment programs that offer nothing but the best of results. You know you will enjoy better results when in the hands of professionals. You will then be offered sanitation recommendations to help you keep the restaurant or bar free from infestations in the future. Structural recommendations are also offered by Toro so you take care of any loopholes there could be and maintain the pest free environment you have just achieved. Apart from all these services, the professionals go a step further in offering education on how you can create an environment that is pest free. You can have them come back to the property at scheduled times to inspect and identify any threats. The best thing about using reputable companies such as Toro Pest Management is that you will enjoy free services in case the pests it handled come back. The guarantee only goes to show how confident the company is in offering you the best services. Experience, knowledge and good reputation make a good pest control company. Having been controlling pests for years, you can trust in Toro to offer you the best services. Our exterminators are qualified, trained and experienced to handle any kind of pest giving you a hard time at the restaurant or bar. Commercial pest control services can come to your aid when you need them the most. The services will help get rid of rats, roaches, mice, ants and flies and any other pest that could be present in the restaurant or bar. This will help keep losses at bay, including losses that can be experienced in your food storage areas. Toro Pest Management is amongst the best commercial pest control companies you can choose to enjoy better results.